In January, Disney files the declaration of condominium for the Disney Vacation Club resort. When Michael Eisner promised in early 1990 that the Walt Disney Co. would do nothing less than ”re-invent the Disney theme-park experience” before the year 2000, he hadn’t counted on a Mideast war and lengthy recession that would ravage tourism. Eisner’s ”Disney Decade” was a company-wide expansion that called for major additions to Walt Disney World in Orlando, including 29 new attractions and eight new hotels. Today, Disney’s ambitious plans – estimated then to cost more than $1 billion – remain essentially intact, company officials said. But the recession, which sent Disney World’s attendance plummeting an estimated 13 percent last year, has prompted subtle shifts in strategy. Some projects are expected to be delayed while others – especially those best able to lure visitors in a static economy – will be pushed forward. But prospects for some other attractions mentioned prominently by Eisner appear moribund. 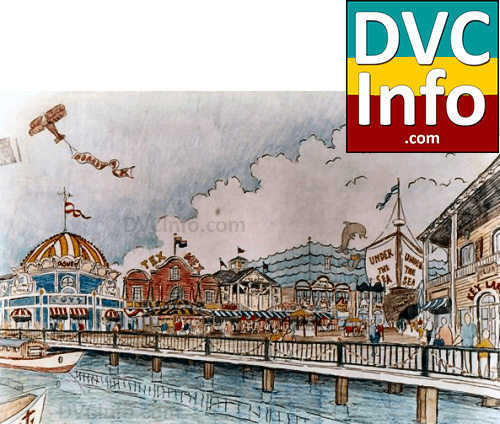 Construction has yet to begin on Disney Boardwalk, an 82-acre speciality retail and entertainment complex on a waterfront site across from the Walt Disney World’s Yacht and Beach Club hotels. The complex, scheduled to open this summer, was to include an all-suite hotel and Coney Island-style boardwalk, with antique carousel and a Ferris wheel. Also delayed is an entertainment extravaganza that Eisner wanted to commission from Andrew Lloyd Webber, composer for Phantom of the Opera and Cats. Disney officials had said it could be part of Disney Boardwalk. Don’t count Disney Boardwalk out, Elrod said. Disney had opened the Disney Vacation Club resort in 1991, and was working on plans for the next DVC resorts. Disney’s plans included both expansion outside of Walt Disney World, as well as expansion within Walt Disney World. 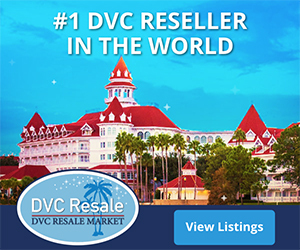 Well before they purchased land in Vero Beach for what would become the second DVC resort, Disney was working on plans for a second resort within Walt Disney World. 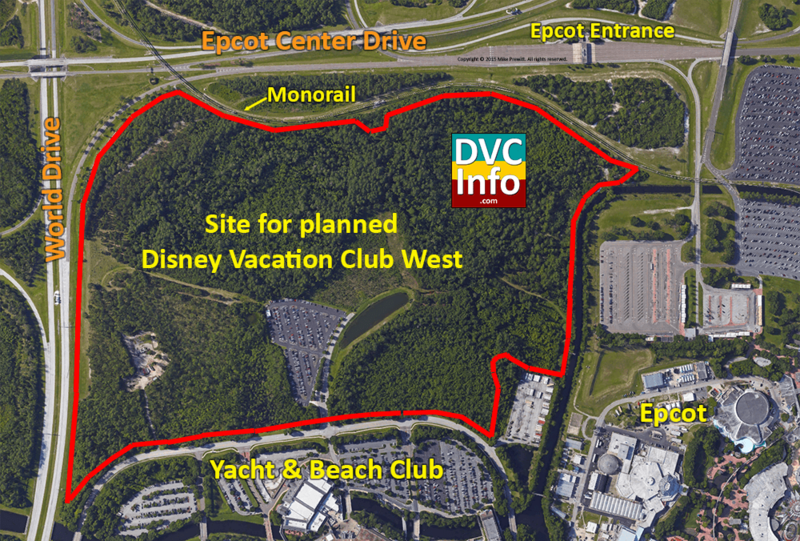 In 1992, Disney developed plans for a project named “Disney Vacation Club West” on a 164 acre site located south of Epcot Drive, east of World Drive, north of Epcot Resort Blvd, and west of Epcot. If you know where the cast member parking lot is for the Yacht & Beach Club resort, you know the general location. If you can’t imagine where that is, here is a present-day view of that location. 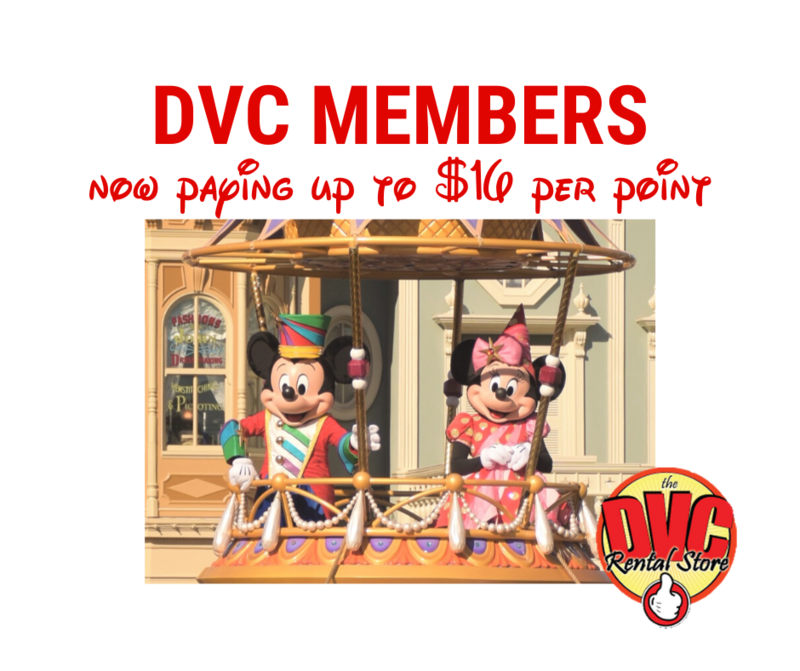 Remember, the first DVC resort was still called the Disney Vacation Club, so the project name of the Disney Vacation Club West made sense. The resort was designed to be very similar to the first Disney Vacation Club – clusters of buildings with parking directly outside. Below is the overall site plan from October 1992. Ultimately, DVC decided not to proceed with these plans.